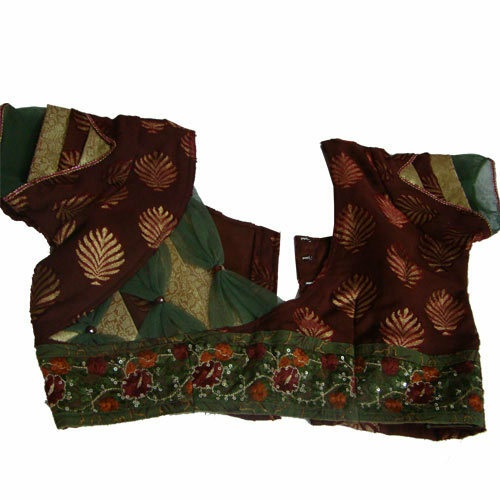 Blouse patterns are the yoke styles over which the blouse is patterned and stitched. Before stitching the actual blouse one needs to draw the stitching pattern. Usually a chart paper is used to draw the stitching pattern for both front and back side. Use an inch tape to measure the needed measurements for a well fitting blouse.The back part has the pattern for arm hole and neck curve. 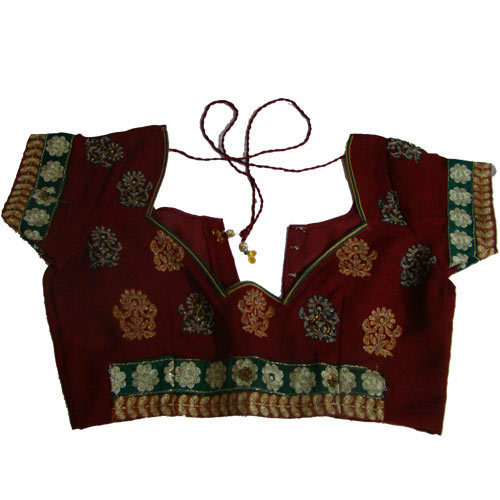 The front part is the important and vital part of the blouse. 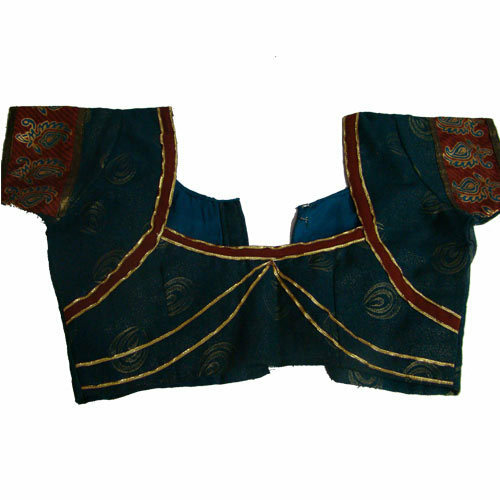 The front part has both patterns for arm hole and neck curve. Apart from that waist line, Full Bust line, High Bust line, hip line, neckline, Shoulder Length, Bust measurement and Hip measurement are also the part of front part pattern. After the pattern is drawn, the patterns are copied into the blouse material and cut into individual cut pieces. The front part is cut into two pieces. Darts are placed at strategic positions and then the front and back part are stitched together carefully without disturbing the darts. Now the Patti and the sleeve are attached to this. After the sleeve part is stitched, the neck cross piece has to be stitched and then hooks have to be stitched.